Via Facebook, I see that the question of where to live in retirement strikes a chord. Long as we’re on the subject, my friend reports the five worst states to spend your $1 million are Hawaii, Washington, D.C., California, Oregon, and New York. Or maybe they’re the best places to spend a million real fast. They all sound plenty pricey. Hawaii is probably worth it. And the other four all have some advantages to recommend them, depending on your individual preferences. An excellent source for all kinds of U.S. geographical information is Bob Wells, famous for his Santa Claus beard and his YouTube channel, CheapRVLiving. Bob goes into the question of home states in some detail, including four long videos on YouTube and posts on his website, CheapRVLiving.com. After listening to Bob, you’ll understand that choosing a state to call home is not an inconsequential matter. Far from it! It’s a lot more than cost of living, although that is important. First, he sets us straight about legal issues. You can own or rent a home in more than one state, if you can afford it. But Bob says only one state is your legal domicile. You can only have a driver’s license or vote in ONE state. “Domicile Sweet Domicile.” Doesn’t sound poetic, but it has serious implications. I’m not going to repeat everything Bob Wells explains. Go to his YouTube channel or Website. Some of the most important domicile considerations for retirees who aren’t old enough to qualify for Medicare are medical. Does your health insurance cover you wherever you roll in the USA, or only in your home state? Bob approaches the question of legal domicile from the perspective of folks who live on wheels, in their recreational vehicle (RV). It could be a travel trailer, a Class A, B, or C motor home, a van or pickup truck, or even a car. Whew! Come to think of it, more than a few retired folks choose exactly that lifestyle. Once they were tied to jobs, now they’re free to take to the open road. Bob Wells identifies some of the best states for RVers to consider as a domicile, even if they’re rarely in that state. They are: South Dakota, Florida, Texas, and Nevada. A major item of interest to RVers is how easy the state makes it to become a legal resident, get a driver’s license and register your vehicles. In SD, FL, TX, and NV it’s pretty easy. South Dakota is easiest of all. And all four states offer the advantage of no state income tax, a major attraction for many retirees. Other states with no income tax are Washington state, Wyoming, New Hampshire and Alaska. I’m not sure about Tennessee. I think the Middle Atlantic states are generally among the higher cost of living and taxes. 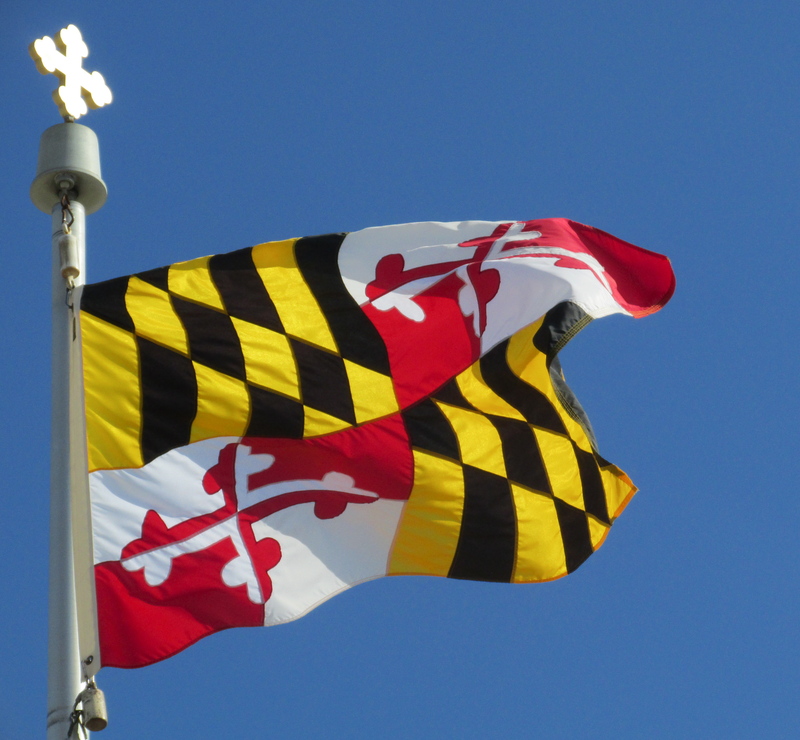 My state of Maryland has an income tax, plus a county income tax that piggybacks on the state tax. Many people from Maryland move to Delaware for retirement. Far as I know, Delaware has income tax, but no sales tax. My Uncle Joe owns a home in southern Delaware, and besides no sales tax, he brags about his low annual property tax. Uncle Joe just turned 90 and he’s sharp as a tack. Remember, it’s not all about money. Low cost of living and low taxes are not the only considerations, and maybe not the most important. Please don’t make any decisions based on the information in this post, or anything else you see on the Internet. Do your due diligence and make decisions based on verified correct info. In a day or three, I’ll get back to why I chose Florida. Hint: It’s not about the income tax. If you haven’t read Part 1 of this series, you can find it here. The House of Delegates gun control vote yesterday, 78-61, looks strangely familiar. It’s nearly a carbon copy of the recent gas tax vote, 76-63. What’s up with that? If you think Maryland is a deep-blue state with an invincible Democratic majority, those two votes seem hard to explain. Democrats hold a majority, 98-43, in the House of Delegates.